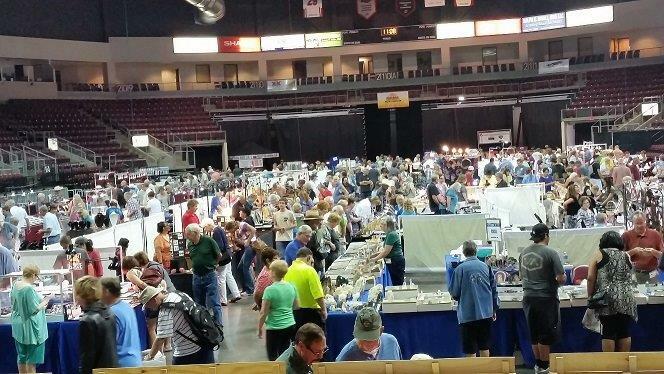 Over 60 vendors in attendance selling everything from slabs, cabs, beads up to finished jewelry. Tools, florescent booth, geode cutting face painting, gold panning, junior rock hound area, demonstrations, spinning wheel, raffle drawings every 30 minutes for valuable prizes. We expect many quality vendors. Rock in the rough, cut, slabbed or polished to view or buy. Your help with many of the jobs necessary to run a fine show are needed. Plan to come early and stay late.